If so, Lee’s Practical Aesthetics workshop is for you. The purpose of this class is to impart the foundations of a universally applicable, no-nonsense acting technique that empowers the actor to create work that is honest, dynamic, and personal. Based on the acclaimed acting technique originally taught by David Mamet, and outlined in Lee's book “A Practical Handbook For The Actor,” this class is an excellent choice for the beginning actor looking for a solid foundation, or the more experienced actor looking to hone and solidify his craft. At a loss on how to communicate clearly and effectively with actors? Lee is offering a three-day intensive for directors that will enable them to work with actors in theater, film, and television. Become an "actor's director!" Also great for actors! The purpose of this class is to introduce the foundations of a universally applicable, no-nonsense acting technique that empowers the actor to create honest, dynamic, and personal work. 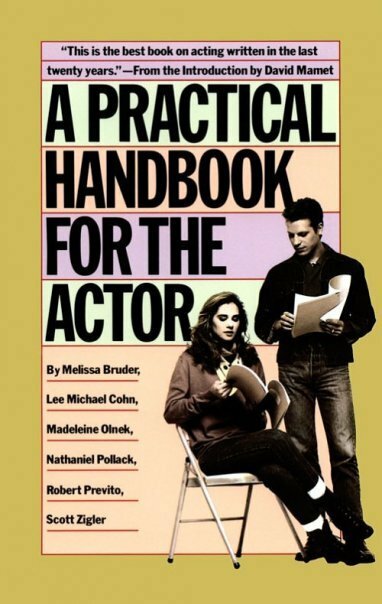 Based on the acclaimed technique originally taught by David Mamet, and outlined in Lee's book “A Practical Handbook For The Actor,” (over 300,000 copies sold) Practical Aesthetics is an excellent choice for the beginning actor looking for a solid foundation, or the more experienced actor looking to hone and solidify his craft. Script Consultation. Feature films, short films, TV pilots and specs, plays. From general notes to page-by-page, line-by-line analysis, Lee will work with you on concept, story structure, character, and dialogue.